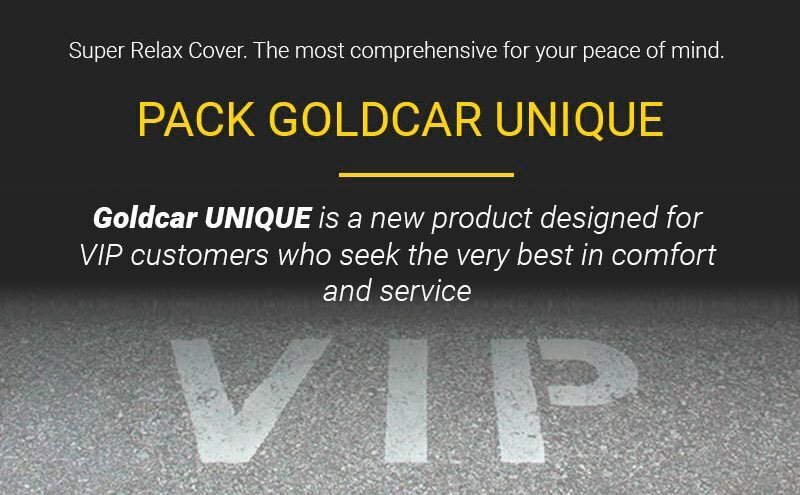 What does Goldcar Unique bring you? Includes the best price per day of rental. Exclusive and instant delivery in the office. Super Relax Cover. The most comprehensive for your peace of mind. Additional driver so that not only you have to drive. Collect and return your car with a full tank without having to pay extra. Cancellation guarantee due to unforeseen circumstances. Price guaranteed. No deposit required.